There have been recent Commercial Burglaries in the 17th District. In these cases, the unknown offender(s) used a cement block or brick to break the front glass door of the business or the side window. The offender(s) then entered the business and took property and money. unknown offender(s) take the vehicle. day in the general geographical locations listed below. 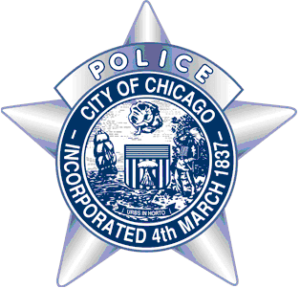 This alert gives notice to residents in the 14th District of 8 Residential Burglaries that have all occurred on the 26th of January in two separate buildings. In these incidents, unknown offender(s) force entry into multiple apartments in the same building and steal smaller items such as, iPads, laptop computers, jewelry, checks and credit cards. made entry into the apartment through the window and takes property from within. These incidents have occurred in the geographical locations listed below. 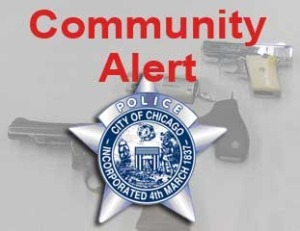 This alert gives notice to three recent Robberies that have occurred within the boundaries of the 017th District (Albany Park) on beat 1722. In the first incident, the three offenders approached the victim and implied that they had a firearm and threatened to shoot the victim if the victim did not hand over property. The offenders then fled the scene in an older model dark-colored vehicle, possibly a Chevy Blazer. In the second incident, the five offenders approached the victim, struck the victim with fists, took property and then fled in an older model, dark-colored vehicle, possibly a Chevy Blazer. In the third incident, the two offenders approached the victim, displayed a firearm and took property from the victim and then fled on foot.